More than half of individuals over age 50 who have depression and more than two-thirds of those with severe depression also have arthritis, according to a report in the International Journal of Geriatric Psychiatry. “[I]t may be critical for mental health care providers to provide regular arthritis‐related pain assessments and evidence‐based treatments for co‐occurring arthritis in older adults with or at risk for depression,” wrote lead author Jessica Brooks, M.D., a professor of psychiatry at the Geisel School of Medicine and Centers for Health and Aging at Dartmouth College, and colleagues. The researchers analyzed data from 4,792 men and women over age 50 (average age, 64.5 years) who participated in the National Health and Nutrition Examination Survey. As part of this survey, participants were asked whether they had ever been told by a doctor they had arthritis, and depression symptoms were assessed using the Patient Health Questionnaire. A total of 2,094 participants (43.7%) reported doctor‐diagnosed arthritis. 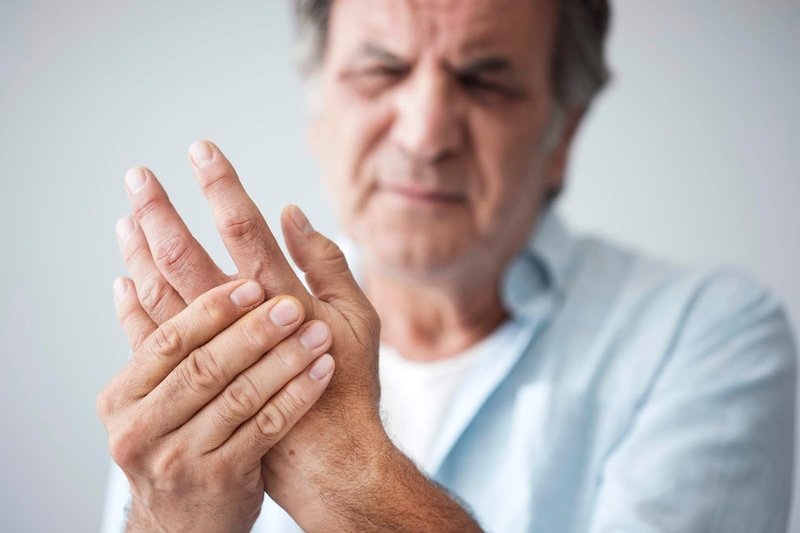 The prevalence of arthritis increased with the severity of depression: 55.0%, 62.9%, and 67.8% in participants with minor, moderate, and severe depression, respectively. The rate of arthritis was lowest in participants with no depression (38.2%). The researchers noted that arthritis and disability are known risk factors for depression in older adults. The association between depression and arthritis may be linked to reduced physical activity, as well as to common biological mechanisms that result in inflammation. “To provide streamlined care and cost‐effective care, future research in geriatric psychiatry is needed to develop and test pilot integrated biopsychosocial strategies and interventions targeting both arthritis and depressive symptoms for delivery by mental health professionals in primary care and specialty care services,” the authors concluded.